Stall space of 3m x 3m will be provided along with a power socket for 5th and 6th of March. Passes f...or two people complimentary. 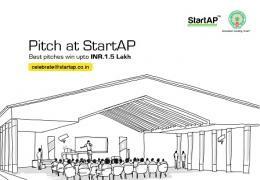 StartAP is a movement aiming to create a platform for youth in A.P to establish their startup ventures. It is a story of passion, vision and entrepreneurship and how an young entrepreneur ecosystem can revitalise the economy in India. 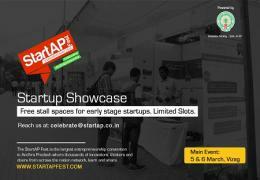 The StartAP Fest 2016 will be one of the largest conventions of, by, and for entrepreneurs, where hundreds meet, share, learn, and collaborate. 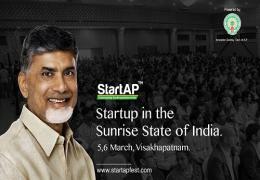 The fest is happening in 4, 5, 6 March in Vizag. 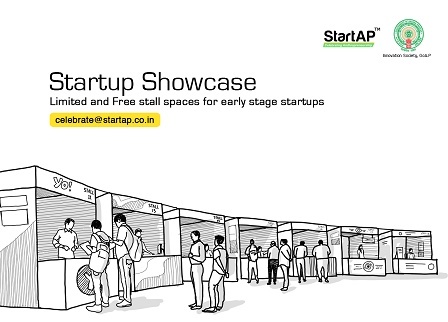 The StartAP Fest features workshops, speeches, and talks from the best of the best entrepreneurs, celebrity speakers and industry experts from all over India and other countries. 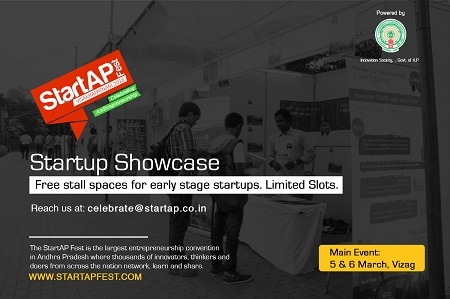 This fest is aimed and bringing a multitude of fresh and quirky ideas up to the shore with three vibrant stage set ups, 10+ product lunches and 80+ startups pitching in their products at the arena. More than 40 speakers are expected to mark their presence at the event to deliver their talks in 8 different panels concerned with Start ups and Entrepreneurship. Short power talks by prominent people from the entrepreneurship industry are sure to nudge the spirits of the participants a notch higher. At the end of the day, a networking dinner will be organized for the delegates as well as the dignitaries to get to know each other and take the interaction to a whole new level. A special B2B lounge shall be set up to make immediate deals and sign MOUs, if any. The special attraction of the fest will be the Unconference Area where the delegates and participants can come together for an informal interaction and discuss possibilities for collaborations and partnerships. 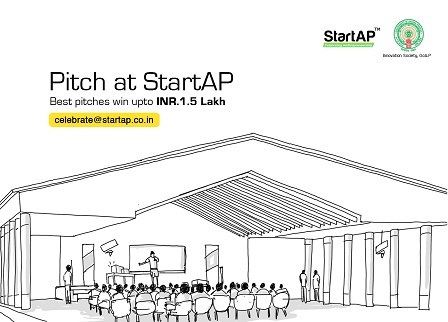 We are also looking to establish a platform for key announcements from various entrepreneurs. 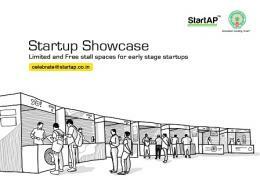 On the whole, the StartAP Fest 2016 at Visakhapatnam is going to be one of its kind event, bringing together budding entrepreneurs and creating an environment of innovation which nurtures fresh and nascent ideas from participants and gives them a boost to go about their plans in the best way possible.